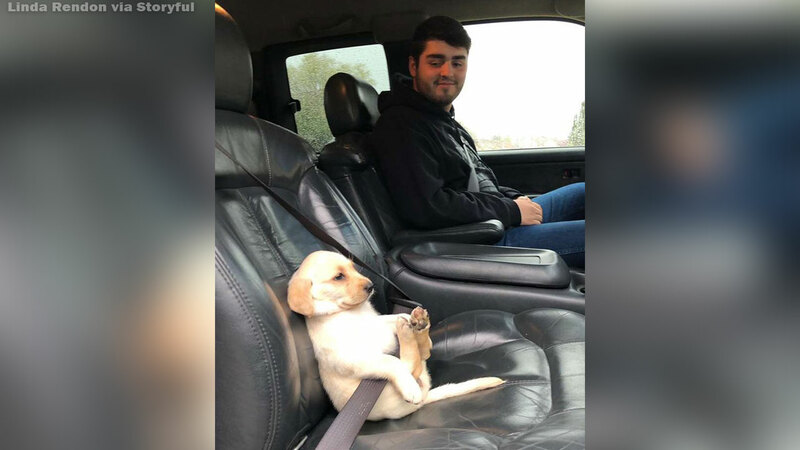 A puppy in California is showing the world that safety should always come first when riding in a vehicle. A photo taken by Linda Rendon shows her dog, Kaia, with her seat belt on in the passenger's seat of a vehicle. The photo was posted to Twitter by Linda's sister, Alyssa, and it didn't take long for Twitter users to fall in love with the sweet puppy. Linda said the puppy was on her way to the vet, and this was her first experience riding in a truck. Since it's posting, the tweet has over 350,000 retweets and 1,200,000 likes.